Winter is here and Christmas is coming. This means fewer hours of daylight, which can make work more difficult. Thankfully, we have a fantastic selection of site lights to ensure your workspace remains well lit. Whether it’s a particularly bright light you’re after, or one that can endure more than others, we have you covered with our pick of 4 top site lights. Firstly, we take a look at some of the key features you should look for when picking the right site light for you. The above are just some important factors to take into account when considering the merits of our site lights. Below we pick out some of your best options to fulfill those demands. 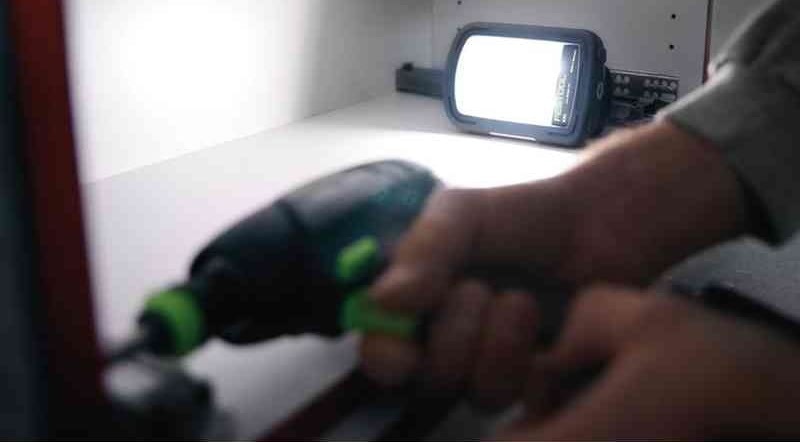 Brightness is guaranteed with this Festool work light, which boasts 12 high-performance LEDs. It ticks plenty of other boxes, too. For example, it is robust due to its shatter-proof housing. It also benefits from being compatible with any Festool battery pack; a corded and cordless all-in-one without cable hazards, allowing plenty of flexibility. 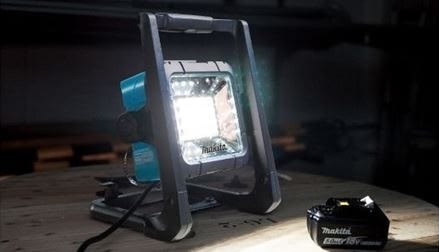 Flexibility and versatility immediately come to mind when looking at this Makita site light. It has a 360 degrees vertical light angle adjustment. Additionally, it comes with a carrying handle, thus making it easier to transport. This can serve as a hanging hook, giving you the option to place the light in a number of positions. As with the aforementioned syslite it also offers corded and cordless functionality. Can be supplemented with a tripod. This Dewalt tripod light is highly convenient. Its lamp head rotates and pivots for directional control of light output, meaning you can focus it on the optimal area and get to work. Its variable height gives you even more scope, with a maximum height of 2.2m. On top of that this light can be paired with a Flexvolt battery, increasing runtime significantly; ideal for those longer days in the darkness. 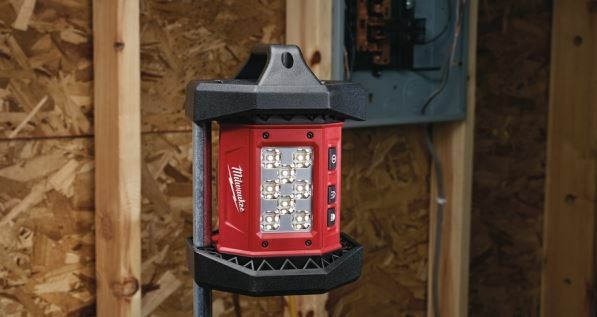 Featuring a compact roll cage design, durability is assured with this Milwaukee site light. It can be hung vertically or horizontally depending on what best suits your work environment. The M18AL light embraces Trueview high definition lighting, making work areas more productive while simultaneously reducing glare, fatigue and eye strain. To summarise, we highly recommend the lights above to illuminate your workspace. Regardless of your application – from plumbing and painting to drilling and decorating – these site lights will result in a far more efficient experience for you. We have plenty of other lights offering various subtle differences. While some of them fall under both categories, we have dedicated sections to both our corded range and cordless lights, so check them out. If you would like to test the lights before choosing then visit one of our showrooms for a live demonstration. Alternatively, order before 17.30 for next working day delivery.